"Excellent food with an atmosphere that takes you back in time"
Persian and Mediterranean cuisine. Great outdoor dining. Unique atmosphere, beer and wine, entertainment. We miss the old, funkier location but can't find fault with the rich trappings, circling belly dancers and exotic music of the new. As for the Persian/Mediterranean cuisine, it remains unchanged and very good. 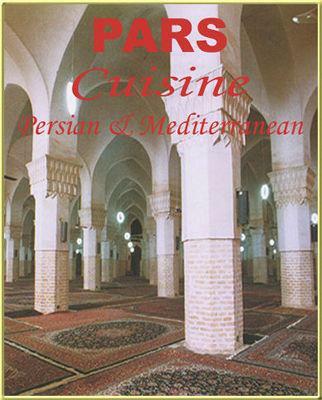 Pars Cuisine has been Albuquerque's first choice for great Middle Eastern and Persian food for many years. The food is still good and the ambience is exciting. The ceiling is draped in cream-colored cloth giving the impression of sitting underneath a vast tent. Look for traditional Greek specialties like souvlaki, gyros and shish kebab, but Pars also offers less well-known Iranian dishes including a stew of saut?ed beef and split peas braised in tomato sauce and served with saffron-tinted basmati rice. Another traditional Persian entr?e pairs saut?ed walnuts and chicken in a pomegranate sauce. In the evening, Pars offers entertainment, either belly dancing or jazz. The restaurant serves beer and wine and offers a hookah for patrons who want to smoke outdoors. Lots to entertain you with! The entertainment never ends with belly dancers, live music, shows, etc.